One of President Donald Trump’s favorite campaign stump taunts is to disparagingly refer to Massachusetts Democrat Sen. Elizabeth Warren as “Pocahontas,” a nickname that some critics say amounts to a racial slur. Add Elizabeth Warren as an interest to stay up to date on the latest Elizabeth Warren news, video, and analysis from ABC News. While the “Pocahontas” nickname originates with President Trump, who views Warren as a potential 2020 contender, the charge that Warren has falsely claimed Native American heritage has dogged Warren since her 2012 Senate race. The controversy revolves around Warren having formally notified administrators at the University of Pennsylvania and Harvard law schools, where she taught, during the 1980s and 1990s that she had partial Native American heritage and was listed as a Native American faculty member in a national law school directory, as the Boston Globe reported back in 2012. 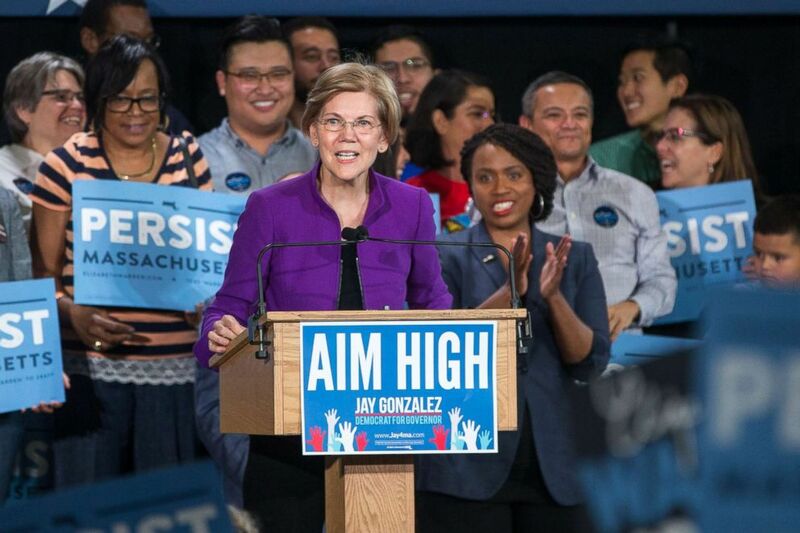 Warren has consistently denied that she ever used her family tree to advance her career, and both universities have denied that Warren’s claim to Native American ancestry factored into their decisions to hire Warren. In a video released by Warren yesterday, a number of former colleagues at the universities where she worked again deny that her heritage played any role in her hiring. "These are my family stories. This is what my brothers and I were told by my mom and my dad, my Mamaw and my Papaw. This is our lives. And I'm very proud of it," she said. Sen. Elizabeth Warren speaks at a rally held for Democratic gubernatorial candidate Jay Gonzalez and congressional Democratic candidate Ayanna Pressley, Sept. 9, 2018, in Cambridge, Mass. At the height of the controversy in 2012, Warren noted that, within her family, a family trait of high cheekbones was attributed to the Native American ancestry. "I still have a picture on my mantel and it is a picture my mother had before that - a picture of my grandfather. And my Aunt Bea has walked by that picture at least a 1,000 times remarked that he - her father, my Papaw – had high cheekbones like all of the Indians do. Because that is how she saw it and your mother got those same great cheekbones and I didn't. She that thought was the bad deal she had gotten in life,” Warren said at the time. But the controversy hasn’t gone away, in large part because President Trump keeps bringing it up. The president then upped the ante with a pledge that, should he ever come up against Warren in a general election debate, he’d give a million dollars to charity if Warren will take a test proving her heritage. But Warren has since beaten the president to the punch and actually did take a DNA test. This week, she released the results of that test, which shows “strong evidence” of some Native American ancestry. "While the vast majority of the individual’s ancestry is European, the results strongly support the existence of an unadmixed Native American ancestor in the individual’s pedigree, likely in the range of 6-10 generations ago," the report read. Warren, not forgetting the president’s charity pledge, called on the president to carry through. "By the way, @realDonaldTrump: Remember saying on 7/5 that you’d give $1M to a charity of my choice if my DNA showed Native American ancestry? I remember – and here's the verdict. Please send the check to the National Indigenous Women’s Resource Center:" Warren tweeted. But President Trump on Monday scoffed when asked about the test’s results and said his charity offer is not yet in play. 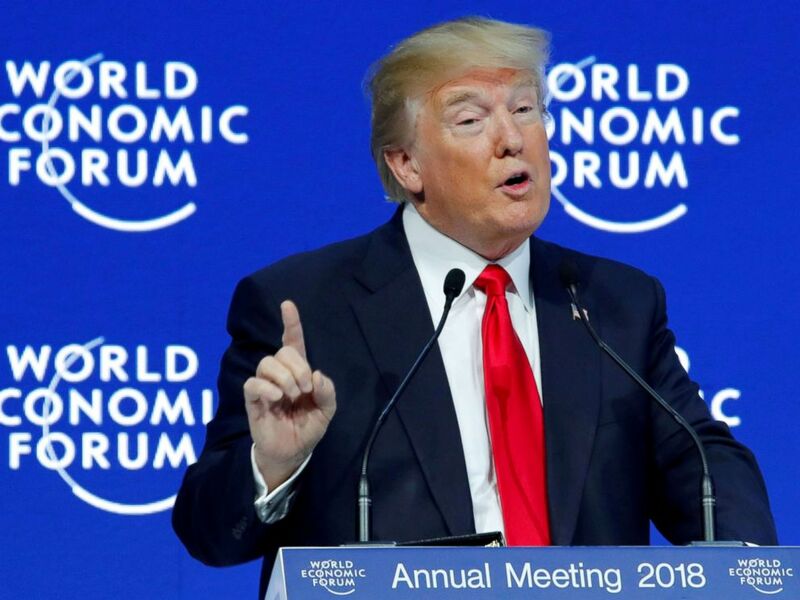 President Donald Trump gestures as he speaks during the World Economic Forum (WEF) annual meeting in Davos, Switzerland, Jan/ 26, 2018. He also disputed that his charity offer applies in this case, saying “I didn’t say that. You better read it again,” and later qualified that his charity offer would only apply if Warren were to win the 2020 president general election nomination. “You mean if she gets the nomination, in a debate, where I was going to have her tested? I’ll only do it if I can test her personally. Okay? That will not be something I enjoy doing either,” he said. The president continued to slam the results of Warren’s test Tuesday as “a scam and a lie” and cast the percentage of Native American heritage insignificant. The Bureau of Indian Affairs discourages the use of DNA tests in trying to prove ancestry from a specific federally recognized tribe – something Warren said she was not attempting to do. And some Native American advocates take issue with the identity politics at play in Warren and Trump's back and forth. Cherokee Nation Secretary of State Chuck Hoskin Jr. criticized the president's use of the name "Pocahontas" as an intended insult. "She doesn't deserve it. And I think it's a term that he means in a derisive way," Hoskin said on CNN on Monday night. "Indian country needs leaders in Washington who understand our issues, not who get in a back and forth of name calling. I don't think the president's particularly helpful in taking those shots at Elizabeth Warren. I don't think she's particularly helpful for going back and saying, look, very my DNA results, see what they show."